My husband introduced me to his favorite sweet treat when we first met, malted milk shakes. Ever since it has been a family favorite at our local ice cream shop. I was really excited to learn that I can now make my own malted milk treats at home thanks to Soda Fountain®! As a health conscious mom, I appreciate that I can control the ingredients and save money too over the much higher priced ice cream shop. Since 1972, Soda Fountain® is the original soda fountain brand offering the best malted milk powder available! 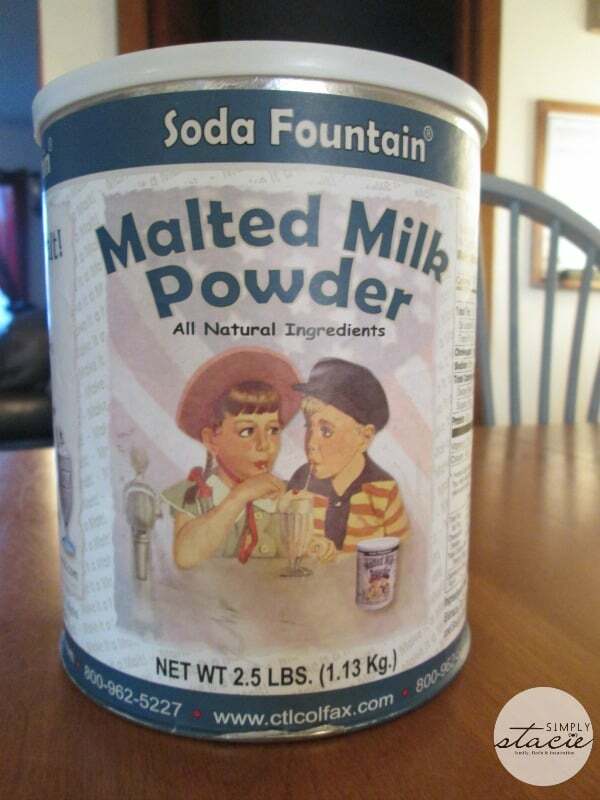 Soda Fountain® Malted Milk Powder uses only the highest quality all-natural ingredients for a superior malted milk. I really appreciate that there are only six ingredients too so I don’t have to worry about fillers, additives or artificial ingredients. 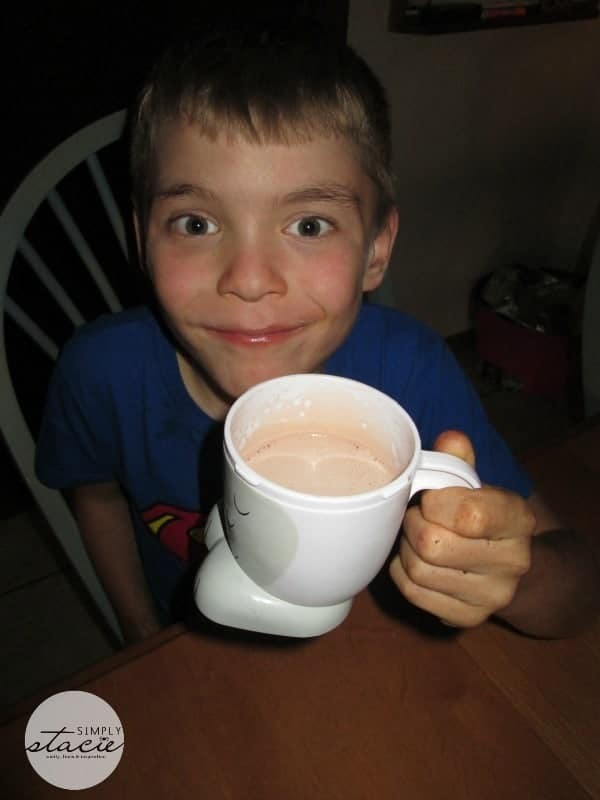 The first thing my family requested for me to make when our Soda Fountain® Malted Milk Powder arrived was chocolate malt milk shakes. It was so easy to make as I simply added two tablespoons of malted milk powder, 2 scoops of all-natural chocolate ice cream and whole milk in a blender. My husband, kids and I thought it tasted absolutely delicious with a fresh malted milk taste. In fact, my husband who is very particular about his malted milks said that it was the best he had ever tasted! Later in the week, I was baking a cream cake and asked my family what kind of frosting they wanted me to make for it. They suggested a malt frosting which I hadn’t even thought of but it was a great idea. The malt frosting was rich and creamy with a wonderful malted milk taste…..it was a big hit with everyone at the table! There are lots of wonderful malted milk recipe ideas available at the CTL Foods, Inc. website so you can be inspired with creative ideas for your Soda Fountain® Malted Milk Powder. There is even a smoothie option that I look forward to trying i.e. the Reduced Fat and Sugar Fruit Filled Malt. You are invited to visit CTL Foods, Inc. to learn more about this malted milk powder brand and purchase Soda Fountain® Malted Milk Powder to dazzle your favorite malted milk fans! There are a variety of purchasing options in the online store with a one pound canister only $7 and a 2.5 pound can for $14 which is an excellent value in my opinion. I learned malted milk offers nutritional components as well as flavor. With St. Patrick’s Day just around the corner, I like the Minty Malty Saint Patrick’s Day Treat. I learned that it’s from Wisconsin. Best state ever! I never saw that squeezable saurkraut! Life changing! I read that they ship to almost anywhere in the world! I would love to try this! so would love to try this soda fountain malted milk product… I have always wanted to try one n didn’t even know it was available anymore… I got my fingers crossed I win this giveaway… if not guess I will have to put in an order for a can n give it a try… thanks for the chance..
CTL has been blending and packaging Soda Fountain Malted Milk Powder since 1972. I like that they have recipes. Peanut Butter Chocolate Malt sounds great. I love malted milk! I learned that its organic. Would love to try the malted milk powder. Sounds really yummy. I learned that there a such thing as squeezable sauerkrauwt! I didn’t know that malted milk was organic. I learned that the Fountain Malted Milk Powder is an All-Natural, Kosher-Certified, Wisconsin-Made product. I like their Peanut Butter Chocolate Malt recipe. I found a recipe for Chocolate Malt Cake that sounds wonderful. The squeezable sauerkraut is a pleasant surprise. Would love to try it. I never heard of squeezable sauerkraut! I like Apple Snicker Malt Salad. I really liked the idea of the squeezable sauerkraut. I like to have sauerkraut on hot dogs and stuff, but it usually winds up going bad. I think the squeezable packaging would really help. I like the Legacy Chocolate Mix. First off – thank you. My taste buds are recalling all those malted milkshakes I had as a child. I learned that Fine Cooking has used their powder for baking and that I would love to try to. Definitely going to get their product, just hopefully for free – LOL Best of luck everyone! I learned that CTL Foods Inc. is from Wisconsin. The product can be ordered on line from Minneapolis!! i learned they are made in the usa and they are kosher too. i am tony l smoaks on rafflecopter. If it from Wisconsin~sauerkraut it has to be good! the kraut in the bottle would be awesome for tailgating. I like the Legacy Chocolates Hot Cocoa Mix.